Over 50 RECON teams are prepared to pursue an exciting observation campaign tonight, which occurs on Wednesday morning just before 4AM PST / 5AM MST. 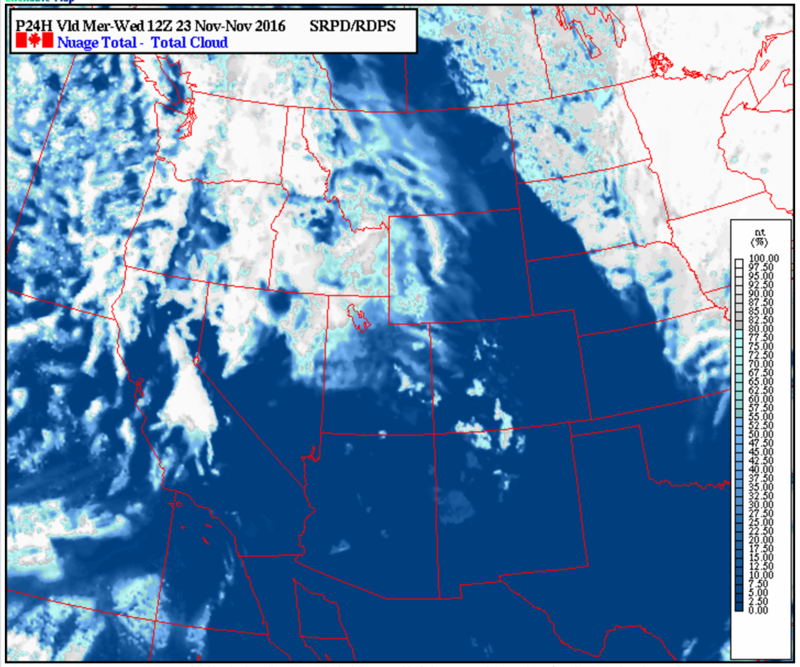 The forecast map shown below predicts great sky conditions for all RECON teams south of Portola, California, and a promising belt of partly clear conditions throughout Central Oregon from Tulelake up to The Dalles. To see sky predictions for individual RECON sites, you can visit our Sky Conditions Page. Good luck to all of our teams as they do their best to record the star field for this high probability campaign event! The 1-sigma uncertainty for the shadow prediction indicates that telescopes sites from Madras, Oregon all the way to Idyllwild, California all have have high odds of recording Centaur 08FC76 as it occults our target star. Rain, snow, or clear skies . . . we ask all RECON teams to complete a RECON Campaign Observation Report Form. This link will be active for one week following the event.